Real cuts to the Renewable Fuel Standard could be coming from President Obama’s administration and the Environmental Protection Agency. 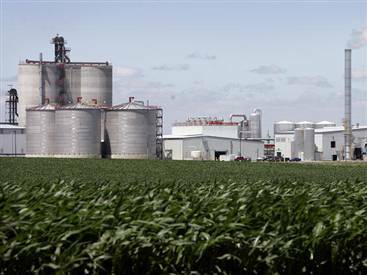 A proposal last Friday revealed that cuts to corn ethanol could be as large as 1.4 billion gallons in 2014, more than the amount of ethanol produced by the state of South Dakota each year. Reductions to America’s Renewable Fuel Policy would be disastrous for corn farmers and could significantly lower prices, just as America’s farmers are in the process of harvesting a record corn crop. This drop in prices could spell disaster and send rural America back into a recession, creating job loss, lowering land values and diminishing broad economic activity including commerce, taxes, etc. This will no doubt have a negative impact on Main Street, South Dakota. The RFS was put into place to lower America’s reliance on foreign oil and it has done just that. This progress didn’t just happen overnight, and took large, risky investments from industry and farmers to build and establish not only the infrastructure, but also the corn supply. Reversing this policy pulls the rug out from underneath America’s farmers who have been dedicated to meeting the demands of this progressive policy. The EPA will have a 60-day comment period before making a final decision and South Dakota Corn will be on top of this issue and ensure our farmers, members and others are mobilized to make our voices heard. Stay tuned. This entry was posted in News and tagged corn, EPA, ethanol, Obama, RFS, South Dakota.